Have you ever wondered how ginseng can be used effectively? 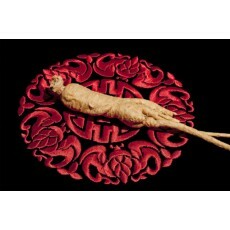 Home » What's New... seaofchi.com blog » Have you ever wondered how ginseng can be used effectively? This is the real deal folks, it’s the highest quality, it’s extremely powerful and effective. These roots were grown by the Korean government, and they all carry the government’s official seal of approval. We sell this Korean Ginseng by the catty weight and it’s rated: Heaven graded 10 or 15 we also have Wild Roots that are sold by the individual root. The bad news is these roots are so expensive most can only dream of using them. Our Korean Red Ginseng Root is part of the Panax species of ginseng and these roots are high-quality. We purchase this ginseng in bulk from the Korean government, while it does not carry the official government seal, it is of high quality and reasonably priced. For those that may be concerned about the cost of these roots, we suggest you sample this product first to confirm its ability to boost the immune system, energy levels and vitality. We sell by catty weight, & the loose roots are rated Heaven graded 10 or 15; we also have sample pieces to try: choose either from a package of 10 or 5 roots – both sample packages are rated Heaven Grade 10. These Korean Red Ginseng Roots are economically priced and a good entry level ginseng. The roots come from a reputable Hong Kong based distributor; and while it does not carry the Korean government seal it is of good quality and reasonably priced. Choose between medium grade rated 10 or medium grade rated 15. Jilin aka: Kirin Ginseng is the most sought after ginseng that is grown in the Jilin Mountains of China. An area that’s renowned throughout Asia for producing the best Chinese Ginseng Roots. Aka: Xi Yang Shen. Traditional Chinese medicine classifies American Ginseng as yin, which is cooling, soothing and restoring. It is ideal for those who are very active and lead stressed lives. We offer high quality roots, which are rated either Good (A) or Best (AA) sold by the pound or half-pound weight. To experience the full-effect of ginseng we suggest preparing it in the traditional way using a porcelain ginseng cooker. Use our cooker as the main vessel, place it into a double-boiler and produce a more robust, full bodied, potent brew. We will provide easy to follow step-by-step cooking instructions. Anyone who uses ginseng owes it to himself /herself to check-out this ginseng cooker. For those that want to read more about Ginseng click on the “Literature” menu button. There you’ll find a link to more “Ren Shen Ginseng” information, which contains articles on ginseng including: Ginseng the Emperor or Tonic Herbs, What All Ginseng Users Need to Know, Consumer Guidelines for Choosing Cultivated Ginseng, Guidelines for Choosing Wild Ginseng, How to Prepare and Use Ginseng, How to Use a Ginseng Cooker for Optimum Effects, and finally a detailed description on all of the Ren Shen/Ginseng products sold at seaofchi.com. We hope you enjoy the shopping experience and we would love to hear back from you with any questions or feedback. 0 Comments To "Have you ever wondered how ginseng can be used effectively? "